The Founders Club in Sarasota is widely known for being one of the most exclusive golf clubs in all of Florida, with an active and engaged local golf community, a safe neighborhood, and a strong local real estate market. The Founders Club maintains a limited membership of just 275 that comes with many benefits including no tee times and access to the globally renowned championship course throughout the year. If you are searching for your next amazing golf course home in the Sarasota area, you certainly won’t go wrong with The Founders Club. In this article, you will find plenty of information about this unique golf community and some more details about the top benefits of purchasing a home here. There are 262 homes at The Founders Club each with their own grand views of the lake and a very comfortable and luxurious ambiance. 700 uniquely landscaped acres allow for spacious outdoor activities and one-of-a-kind views. The Founders Club offers a wide variety of wonderful homes to choose from, and the prices for these lovely homes can range anywhere from $900,000 to over $5 million. The unique London Bay Estate homes here are customizable and offer a wide range of professionally crafted designer options to suit your whole family’s needs. They are designed and made with a high level of professionalism and innovative features to create an elegant, warm and inviting home. The London Bay Estate homes are spacious and feature comforting Florida living elements. Enjoy the greenery and natural beauty surrounding each home and the one of a kind breathtaking experience of living in this serene and exclusive community. The Founders Club has plenty of features and attractions to offer aside from golf. There is a customizable year-round calendar of activities to making living here a fun and memorable experience that the whole family can enjoy. The friendly staff of the club manages the calendar, and it is often filled with wellness, sport, and social activities for all ages. The area offers miles of paved walkways and its own picnic pavilion. The oak trees, lake scenery and surrounding architecture are guaranteed to impress. The Founders Club is fully equipped with its own fitness facility, fitness trainers, and a great variety of classes such as yoga, Pilates, the walking club, dance classes as well as personalized fitness and diet programs. There are also many outdoor sports to choose from including sand volleyball, basketball, and Har-Tru tennis courts. There are other fine living programs offered such as member-guest cocktail parties, wine tastings, cooking classes, monthly mixers, luxury auto and boating show cases, weekend cookouts as well as holiday buffets. With a perfect location, it makes it incredibly convenient to access other specialty needs outside of The Founders Club. The community is located 8 miles from The Mall at University Town Center. Not too far are the widely known world-famous Gulf beaches of Sarasota, just 3 miles from I-75 on Fruitville Road. The choices on activities are almost endless. Members are welcome to join a card club or a cooking or dance class. The Founders Club also makes for a fun, lovely wedding venue, and an onsite event planner is available to provide assistance every step of the way for your memorable special day. A few amenities and extras can be included at an affordable price when choosing The Founders Club. Other events the Founders Club can host include charity events, receptions, rehearsal dinners and baby showers. 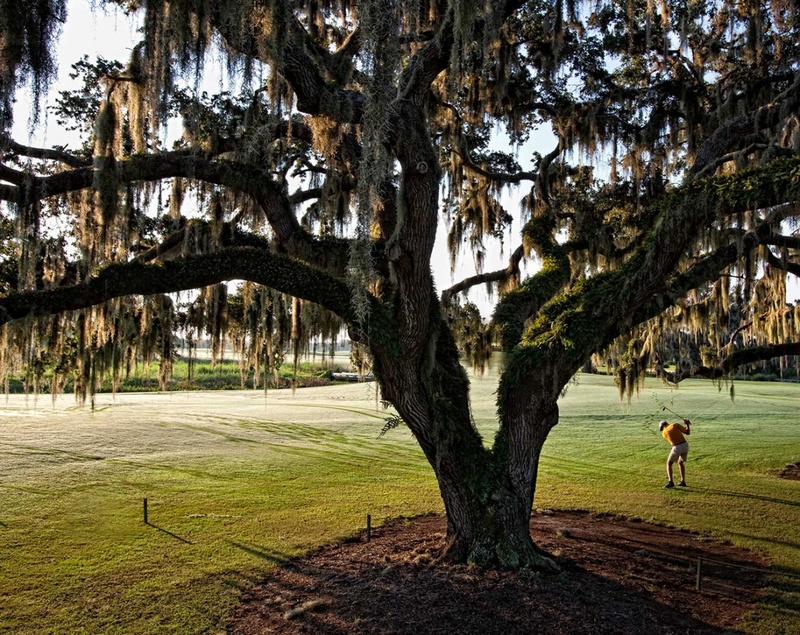 The Founders Club is the perfect golf community for every enthusiast. With the club’s limited number of memberships, every golfer gets plenty of individualized attention and the opportunity to practice as much as they want. It is the ultimate golfing opportunity and a great place to develop your talent or to simply enjoy the environment and all that The Founders Club has to offer. For families with children who are trying to learn golf, The Founders Club offer a children’s and Junior’s program as well. The programs are designed to train children based on their skill level and are highly effective at helping them improve their golf game. Individual lessons can also be scheduled as required. The Founders Club was designed and built by Robert Trent Jones, Jr. and he followed the natural landscaping while sculpting and refining this championship golf course to the quality and design that is known for today. This stunning golf course is incredibly unique in its design with 18 holes, and there is no other golf course in Florida quite like it. The course is fully equipped with its very own well-stocked golf shop, and it also offers spacious lounge areas and locker facilities. There are a wide variety of sport activities to choose from including sport massage and stretching programs, swing clinics, weekly men’s and woman’s games, nine and dine. The Founders Club has the only traditional caddie program in Sarasota as well as an indoor training facility. It is the perfect combination that allows for significant game and strategy improvement. 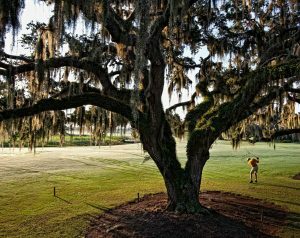 The Founders Golf and Social Club offers unbeatable amenities in a debonair and classy Plantation-style clubhouse. The large 24,000-square-foot Golf Hall includes a private dining room, bar and grille, a spacious fine dining room and an outdoor verandah that overlooks the championship golf course and the sheer beauty of the establishment. The Founders Club offers multiple memberships based on the need of every golfer. Equity Social Memberships are a one-time $7,500 initial contribution. Equity Golf Memberships are a one-time $30,000 initial contribution. Be sure to inquire about The Founders Clubs Young Professional Membership starting at $1,000 membership fee for ages 44 and under. There are Corporate Memberships available as well. At Schemmel Property Group we can answer any questions you may have about the real estate available at The Founders Club and help you purchase the golf course home of your dreams here. Call us today at (941)-308-6497 for advice or to ask any questions at all about this exclusive and luxurious golf community.